TV with Thinus: CNN International adds a new weeknight show, State of the Race with Kate Bolduan; will cover the 2016 American presidential election from New York. CNN International adds a new weeknight show, State of the Race with Kate Bolduan; will cover the 2016 American presidential election from New York. 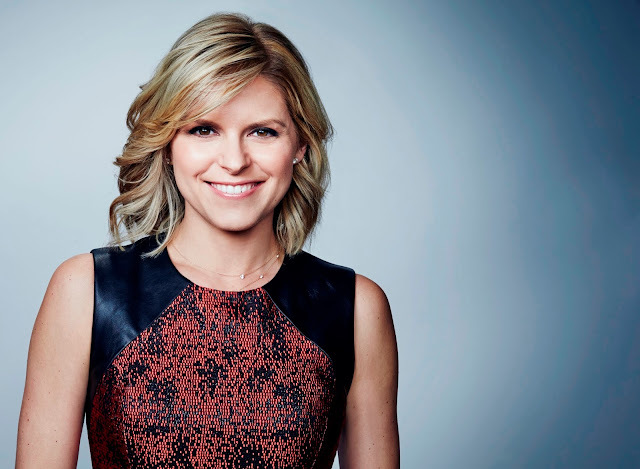 CNN is adding a new weekday prime time show, State of the Race with Kate Bolduan, from today to CNN International (DStv 401) that will cover the ongoing American primary elections and the upcoming presidential election. State of the Race with Kate Bolduan, now finally added to the electronic programme guide (EPG) on MultiChoice's DStv before its first episode tonight, will broadcast on weekdays at 20:30 (South African time) from CNN's New York bureau. The half hour weeknight State of the Race with Kate Bolduan adds to the already breathless American election coverage for international viewers from Wolf Blitzer's Wolf on CNN International and the more grounded weekly show, Political Mann. It's not clear what's happening with Zain Asher who anchored wider international news for viewers during the weekday time period. Interestingly CNN International (DStv 401) increased its audience share during the month of April on MultiChoice's DStv, with viewership climbing to 5.47%, with viewership and share gain coming mostly from a loss of share at BBC World News (DStv 400 / StarSat 256) that fell to a paltry 3.49% share in April from March. Although CNN International dramatically increased its American primary election coverage during April with numerous, often-jarring, switches to the CNN domestic feed for international viewers, it's not possible to say that the channel's bigger news audience share on DStv was specifically attributable to more American election coverage. CNN International describes State of the Race with Kate Bolduan as "a nightly destination for international audiences looking for an in-depth lowdown on the race to the White House". "This has already been a race like no other, and it is clear there is a lot more to come," says Kate Bolduan in a statement. "Every night we're going to bring our international audiences along for the ride - offering the very latest developments from the campaign trail and giving them the inside scoop of what is really going on within the campaigns and in the minds of American voters." "Around the world everyone is talking about this US election," says Tony Maddox, the executive vice president and managing director of CNN International. "As we get into the decisive campaign stages and open up key election battlegrounds, State of the Race will bring an insiders' view from one of CNN’s most skilled political journalists. We'll be delivering international audiences all they need to fully understand this vitally important story with intelligence, passion and a little humor, too."